In 2018 SIFT campaigned to ban the dredging of kelp (a seaweed which is vital for the coastal ecosystem, and can be processed into polymers used in food processing). Working with many stakeholders, the media and politicians from across the Scottish Parliament, the campaign succeeded in ensuring that dredging of kelp (for commercial harvesting purposes) became illegal in Scottish waters in December 2018. Kelp forests act as a vital buffer against storms for low lying coastlines and also provide a crucial habitat for fish and shellfish. Research has shown that more than 200 animal species can inhabit kelp holdfasts (the part of the plant that is attached to the sea bed), and many more rely on the stems and fronds above. But the demand for wild kelp from the pharmaceutical, food processing and textile industries is growing. Kelp dredging would involve a heavy metal dredge head approximately 3-4 metres in width, suspended from a ﬂoating vessel, being dragged through kelp beds so as to uproot and gather entire kelp plants. Kelp dredging would gather large quantities of kelp. But this harvesting technique rips kelp up from the holdfasts, which prevents the plants from being able to re-grow. Research from Norway where mechanical dredging for kelp has occurred since the 1970s, investigated the effects of kelp dredging on commercially important species and found 92% fewer young fish in harvested areas. It is little wonder therefore that representatives of the Scottish fishing fleet are among those opposed to this damaging form of kelp harvesting. The kelp issue illustrates perfectly the careful balance we need to maintain with our natural environment if we are to have a sustainable, prosperous future. Should we allow the plunder of this valuable resource, leaving it so damaged that its future value will be lost? 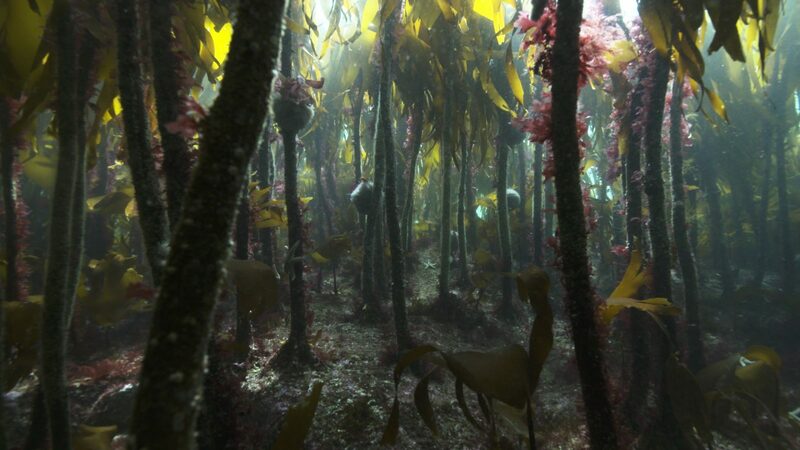 Or should we protect our kelp forests and seek instead the many positive attributes it brings if managed responsibly – such as natural coastal defences, carbon storage and protection of breeding grounds from which we derive world-beating seafood. With SIFT’s support, MSPs from across the Scottish Parliament came together to support our existing seaweed industries and the sustainable harvesting of kelp. In November 2018 Parliament enacted provisions to ensure that kelp harvesting can only take place where the individual kelp plant is not killed, a key ask promoted by local communities, environmentalists, the fishing industry and SIFT. This ensures that mechanical dredging cannot take place. The Scottish Government also committed to a review of the future of seaweed harvesting. SIFT will actively participate in this review and will encourage Ministers to maintain high environmental standards and focus on the opportunities arising from seaweed cultivation.